Across the state, young people are in positions of leadership in their schools and communities, working within the same system and towards similar goals regarding education and equity. However, we rarely have the opportunity to meet and collaborate directly. We know that strong youth voice, representation, and partnership is necessary in order to create a Minnesota that empowers ALL students. The Minnesota Youth Council hosted the very first Youth in Educational Leadership Summit (YELS) on March 30th at Patrick Henry High School. It was exciting day full of trainings and workshops designed and facilitated entirely by youth. Teachers, coaches, parents, and other mentors also participated in our student facilitated Adult Partner track, where they learned how to best support young leaders. See a recap of the day’s events in our YELS2019 Wakelet! CLICK HERE—> to check out the incredible young people that presented at YELS 2019! 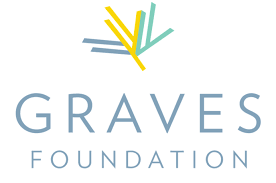 YELS 2019 was generously supported by the Magellan Cares Foundation and the Graves Foundation!